We all wish at one point or another that we can have a re-do on something that happened in the past. Some might wish for a re-do on a test or quiz when they were in school. Others might wish that they had a re-do on a particular high school or college that they could have attended. Some might even wish for a re-do on a marriage that didn't work out like they would have originally hoped. But what about teams in the NBA? What is it that they might want a re-do on? For some, it could be one particular play that cost them a chance at an NBA title. For others, it could be trading away or letting a particular player go elsewhere. But what about when it comes to the draft? There have been a lot of mistakes that happened within particular drafts. For example, in 2003, the Detroit Pistons could have had Carmelo Anthony, Dwyane Wade, or Chris Bosh with the number two overall pick. But instead, they chose Darko Milicic from Serbia, which didn't end very well. It happens in all sports. If general managers could go back and turn the clock, they would. But unfortunately, they cannot and now we can see who made some big-time mistakes. Only this time, we're talking about number one overall picks in the NBA. Let's take a look at 12 poor NBA number one overall pick selections and the players that should have been taken at that spot instead. The Golden State Warriors were not always the dynasty we see before us today. They were once a struggling franchise who had the number one overall pick in the 1995 NBA draft. There were some good prospects to choose from, but in the end, they went with Joe Smith out of Maryland. He was a part of the 1995-96 All-Rookie Team but didn't do too much in his career after that. He played for 12 different franchises before his career was over and the Warriors were probably kicking themselves after the fact. This was just a move that the Warriors shouldn't have done as they could have drafted drastically better. The Minnesota Timberwolves should probably be thanking the Golden State Warriors for the blunder that they made during the 1995 NBA draft. If the Warriors had to do that draft over again, they probably would have selected Kevin Garnett. Garnett was a highly talented forward/center coming out of Farragut Academy High School. KG was a born leader and had more passion than just about any other player on the court. His numbers were incredible as well. Garnett was a 15-time NBA All-Star, was the MVP of the league in 2004, and also helped the Celtics win a championship during the 2008 season. Safe to say, KG to the Warriors would happen if the draft was done over. The Los Angeles Clippers thought that drafting Michael Olowokandi out of the University of the Pacific was the best move with the number one overall pick in 1998. When it was all said and done, the move was not the best for the Clippers or for Olowokandi in the long run. He was part of the 1998-99 All-Rookie Team and didn't do much of anything after that. He averaged eight points and seven rebounds a game when his NBA career was all said and done. He played for three different teams and never put up the numbers that a number one overall pick should have been producing. The number one overall pick that the Clippers should have taken was Vince Carter. Carter ended up having the best career out of the other draft picks taken in the 1998 NBA draft. Carter is still in the NBA and has developed more of an overall game as opposed to being more explosive and a slasher toward the basket like he was in his younger days. He is an eight-time All-Star, was the 1998-99 Rookie of the Year and was also a two time All-NBA member. Vince Carter could have been the player that the Los Angeles Clippers were hoping Michael Olowokandi was supposed to be. In the 2006 NBA draft, the Toronto Raptors had the number one overall pick and they were hoping to get a player that would ultimately transform their franchise from losing most games to winning more games. They ultimately decided to take Andrea Bargnani out of Rome, Italy. Bargnani seemed to be a decent pick at the time, but his career never turned out how Toronto had hoped. He averaged 14 points and five rebounds a game along with being a part of the 2006-07 All-Rookie team. Other than that, he never made an All-Star team or made a big impact on the Raptors outside of his scoring. 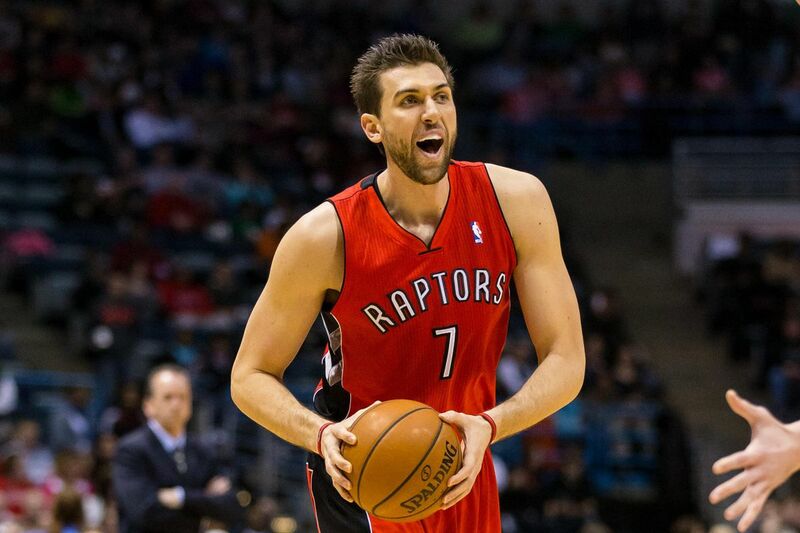 Andrea Bargnani is one pick the Raptors would probably like to have back if possible. Instead of drafting Andrea Bargnani, the Toronto Raptors should have been smarter and taken LaMarcus Aldridge. Aldridge has shown he can be a key piece on two Western Conference teams now. He is a six-time All-Star and a five-time All-NBA member as well. Aldridge is now seen as the main player for the San Antonio Spurs as he is averaging 18 points and 11 rebounds per game. The Spurs do not have the same firepower as they once did. But Aldridge is doing a great job of keeping them very competitive. He even could have still been a Toronto Raptor had they made the right decision on the first attempt. The 2013 NBA draft saw the Cleveland Cavaliers pick one of the all-time draft busts. They selected UNLV forward Anthony Bennett. A lot of people were surprised by the pick as players like Victor Oladipo, C.J. McCollum, and others were available and presumably ranked higher than Bennett. Bennett did not last long in Cleveland as he was done after one season. He is still making his way around with teams in the NBA D-League. He averaged four points and three rebounds per game when he was actually seeing time in NBA games. The Cavaliers needed this pick to hit so they would've had LeBron's successor today. As it turns out, the best player in that draft ended up being a big man from Greece named Giannis Antetokounmpo. The "Greek Freak," as some call him, is quickly becoming one of the best players in the NBA. He can dominate a game and once he gets into the paint, it is basically over for the defense to try and stop him. Giannis is something special and Milwaukee is very lucky to have him, considering how far he fell. Imagine if the Cavs could do it over and take Giannis? Maybe, LeBron would still be with Cleveland. The Washington Wizards thought they were getting a diamond in the rough when they selected Kwame Brown out of Glynn Academy High School. He was rated the best overall prospect in the 2001 draft class, so the Wizards were feeling confident with their pick. Brown ended up playing for seven different NBA teams and averaged seven points and six assists a game when his NBA numbers were totaled. There was even some speculations that he was constantly criticized by Michael Jordan when Jordan was finishing his career with the Wizards. Brown was not ready for the NBA and the Wizards made a mistake, plain and simple. In the Wizards' defense, there was not a clear cut prospect that soared over the rest. If there was one re-do on this pick, they would probably go with Tyson Chandler. Chandler is a huge presence on the defensive end as he has been a part of three All-Defensive teams. He was also the 2011-2012 NBA Defensive Player of the Year. He was an All-Star during the 2012-13 season and helped the Mavericks upset the Heat in the 2011 NBA Finals. Chandler could have been a steady piece in the middle for Washington during their days of struggle. Chandler definitely would have been an upgrade over Brown; that is not even a debate. The 1989 NBA draft was one that wasn't loaded with talent when it was all said and done. The Sacramento Kings had the first overall pick that year and decided to take Pervis Ellison out of Louisville. The ironic part about this is that Ellison only lasted one year in Sacramento before he went on the play for the Washington Bullets. He also played for the Celtics and SuperSonics before his career ended. He averaged 10 points and seven rebounds a game during his career in the NBA. He won the Most Improved Player award in 1992, but that was the end of his NBA accolades. The Kings could have made a much better pick than Pervis Ellison. That same draft had players like Shawn Kemp, Sean Elliott, and Nick Anderson come through. 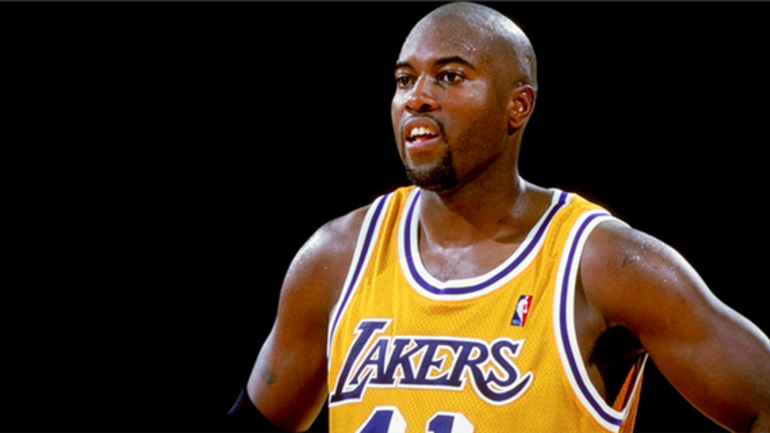 But the player that should have ended up going to the Sacramento Kings first overall was Glen Rice. Rice was originally the fourth overall pick out of the University of Michigan, by the Miami Heat. Rice ended up playing for six different NBA teams, but still picked up his fair share of hardware. He was a three-time All-Star, an NBA champion in 2000, All-Star game MVP in 1997, and made a few All-NBA teams along the way. Rice would have been a much better pick for the Kings than Pervis Ellison. The Philadelphia 76ers have been "trusting the process" for a number of years now. One of their moves in the process involved selecting Markelle Fultz out of the University of Washington. Fultz looked like a can't miss prospect that the 76ers felt could be the missing piece, especially after they traded with the Celtics to get the number one pick. Fultz has not lived up to expectations with underproduction and having troubles with his shot last season, supposedly because of shoulder ailments. Fultz is still young and the 76ers are still very good with him in that lineup. But in the long run, will the 76ers think they made a huge mistake? The 76ers are probably regretting not taking Jayson Tatum with the first overall pick. The Celtics were so confident in Tatum's abilities that they willingly gave the 76ers the first overall pick for the third pick. The former Duke forward was a Rookie of the Year candidate last season and was a member of the NBA All-Rookie 1st team. Tatum has established himself as a star in the making and looks to have a very promising future in Boston. Imagine Jayson Tatum in the same offense as Ben Simmons and Joel Embiid? The 1994 NBA draft saw the Milwaukee Bucks as the lucky owners of the first overall pick. They decided to eventually take Glenn Robinson out of Purdue University. Robinson won an NBA title and was a two-time All-Star as well as part of the All-Rookie First Team in 1995. Keep in mind, Glenn Robinson was the National Collegiate Player of the Year before he entered the NBA with the Bucks. In hindsight, the move wasn't too bad. But after the career of the next man we feature that should have been taken, any fan would agree Robinson was the absolute wrong pick for Milwaukee. What luck the Dallas Mavericks had on that draft night when point guard Jason Kidd fell into their lap. Jason Kidd was coming out of the University of California, Berkeley. He definitely made a name for himself as one of the all time greats at the point guard position. He was the 1994-95 NBA Rookie of the Year, he was also a 10 time All-Star, an NBA champion, along with countless amounts of other accolades he earned. Kidd was on the Mavericks also when they beat the Heat in 2011. Funny how the Bucks could have had him at number one overall, yet they also had him as a coach for five seasons. The Milwaukee Bucks also had the first pick overall in the 2005 NBA draft. It is hard to believe that they would repeat their actions from 1994, right? Well...they did. In 2005, the Bucks decided to go with Andrew Bogut, a center from Utah by way of Australia. Bogut was never an NBA All-Star and had one season where he averaged 16 points a game. He was never that big man that could take over a game, no matter what team he played for. Bogut showed he can be dependable when he isn't a main guy, hence his championship ring in 2015 with the Warriors. But he certainly should not have been taken ahead of the next guy on our list. Chris Paul was taken in that same draft by the New Orleans Hornets at number four overall. Keep in mind that Paul led a Clippers team for years to the playoffs behind nine All-Star appearances. He is now with the Houston Rockets and he has been a great second piece with James Harden as his back-court partner. Paul is a six-time steals champion and has also been a part of eight All-NBA teams. Some say the Rockets could have even knocked off the Warriors, had Chris Paul been healthy in Games 6 and 7. Imagine if the Bucks took CP3 instead of Andrew Bogut? Elton Brand was taken first overall in the 1999 draft by the Chicago Bulls, coming out of Duke University. The Bulls needed somebody to restart their franchise after their historic 1990s dynasty run finally ended. They thought Brand was their guy. He wasn't terrible as he was the 1999-00 Rookie of the Year and was a two-time All-Star. Brand ended his playing days in Philadelphia and now is in the front office for the 76ers trying to help them maker a deeper run in the playoffs this season. If the 76ers are in for any success from Brand's playing career, they might make it back to the Eastern Conference semifinals and that's about it. Like we said, he was good but not great. The Houston Rockets cashed in very big on the Chicago Bulls mistake of taking Elton Brand with the number one overall pick with their pick at number two. They decided to go with point guard Steve Francis out of Maryland. Francis had a typical "poor kid growing up and making it to the NBA," feel-good sort of story. Francis ended up being a three-time All-Star along with the Rookie of the Year award in 2000. The Bulls could have had Francis as their point guard to help lead Chicago into a new player to get excited about since they had Jordan, Pippen and Rodman around. In 1998, the Los Angeles Clippers had the number one overall pick and decided to go with a power forward out of Kansas named Danny Manning. Manning was a two-time All-Star in the 1992-93 and 1993-94 seasons. However, he spent time with seven different organizations. He found himself as part of big trades and he was just never that dominant piece that people were expecting him to be. Luckily, he has found his second calling as he is currently the head coach of the Wake Forest Demon Deacons men's basketball team. There was another guy in that 1988 draft class that should have heard his name called before Danny Manning became the No. 1 pick. The Golden State Warriors had the fifth pick that season and decided to go with Mitch Richmond out of Kansas State University. Richmond was certainly the hot commodity coming out of college as he was a six-time All-Star as well as being an NBA champion in 2002. He also was a three time All-NBA Second Team member and a two-time All-NBA Third team member as well. Furthermore, he is currently in the Hall of Fame. He found a job as the assistant coach for the St. John's Red Storm men's basketball team. Richmond could become a Hall of Fame candidate in two areas if he plays his cards right. This is often talked about as one of the biggest busts in NBA draft history. The Portland Trail Blazers had the number one pick in the 2007 draft and it came down to Greg Oden of Ohio State and Kevin Durant of Texas. Ultimately, they decided on the injury-prone Oden. What a mistake that was by Portland. Oden played in one season of 61 games, then he played two seasons of about 20 games per season and missed three whole seasons as well. It just did not end up as a great pick for Portland. Trail Blazers fans were probably thinking they acquired Sam Bowie 2.0. If Greg Oden gets mentioned in a draft conversation, then Kevin Durant has to be there as well. We all know with Durant that he had a lot of hype coming into the NBA and he has certainly delivered. He is a nine-time All-Star, was the 2013-2014 MVP, has two NBA title rings with the Golden State Warriors and was NBA Finals MVP in both of those title wins too. The bottom line is Portland could have had Durant and maybe he would have stayed. What a big three that could have been with Kevin Durant, Damian Lillard, and C.J. McCollum all on the same team!